Guy Crabb have a long standing history of selling and servicing all makes and models of Rayburn. 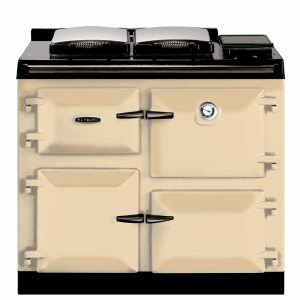 For almost 70 years, Rayburn has been the warm heart of many British homes, leading the field in central heating range cookers. With its iconic design, absolute reliability and flexibility, it’s easy to see why the Rayburn has been such an enduring success. As a Rayburn Centre of Excellence we are delighted that our company has been accredited for our exceptional level of service and expertise. If you visit our showroom our team will happily show you our Rayburn collection and discuss the best option to meet your needs. Choosing the right Rayburn to suit your lifestyle is a major commitment, after all not only do Rayburn cookers make delicious food but some models can provide you with cooking and central heating. There is a boiler to suit every home – the smallest Rayburn model is able to heat two to three radiators and the largest model is able to heat up to 20 radiators. Why own a Rayburn ? A Rayburn is a totally flexible and controllable cast-iron range cooker that will transform your kitchen into a warm, welcoming space. And today’s models offer you all this, plus the efficiency provided by cutting edge engineering. Benefitting from the very latest boiler design and burner technologies, a Rayburn delivers high levels of efficiency which are independently tested and verified. And because Rayburn is as good looking as it is practical, it’s a joy to live with. 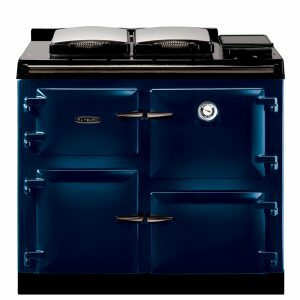 With its beautifully enamelled exterior and classic styling a Rayburn Cooker will transform your kitchen into a warm and welcoming space. The iconic smooth lines, attractive colours and solid reliability of a Rayburn have created a design classic that blends in perfectly with any home. From high heat cooking which quickly brings out the best in vegetables, to gentle roasting and brilliant baking, Rayburn Cookers truly are masters of all culinary styles. Manufactured from cast iron, Rayburn uses indirect heat technology to cook food. We call this ‘kind-to-food’ heat because it seals in the flavours and natural juices, creating healthier, more delicious dishes. Beneath the classically beautiful exterior of a Rayburn lies a highly efficient combined heating and cooking system that creates mouth-watering dishes, a wonderfully warm home and piping hot water, just when you need it. What’s more, with the added convenience of having all your heating, hot water and cooking in one, you can use valuable additional space for other appliances – or creative space! A wide range of boilers to power any size of home From the smallest model in our 200 Series that can fuel two or three radiators, to the largest of the 800 Series that can heat up to 30 radiators, there’s a boiler to suit any size of home. What’s more, the use of the very latest boiler design and burner technologies deliver the high levels of efficiency you would expect from modern heating systems. With solid fuel and ‘A’ efficiency rated gas and oil options, the Rayburn is the ideal choice for those who care for the environment as much as they care about good food and a warm home.